We offer a huge range of apartments from one bedroom with queen and king beds, offering a twin or double option. Each has a spacious living area, with a glass sliding balcony leading out to breathtaking views. There are two executive luxury apartments, with an option of two or three bedrooms. Each is decorated to a high standard, with all required facilities. Choose one of our family packages to experience luxury on an affordable budget. Being only a short distance over from mainland Australia, we offer many specials and packages to suit all types of traveller. It may only be a short distance but it will feel like a world away from Australia when you get here, allowing you to totally unwind. Just being around nature can calm the nerves and de-stress the mind. Our expansive grounds are well maintained and we have many seating areas for you to relax and take in the ocean view. Get the family together on a balmy evening for barbeque delights, and some star spotting if you are lucky. 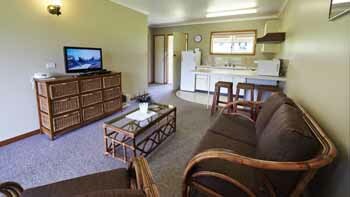 Your self contained apartment has everything you could need to kick back and relax; all you have to do is get here. 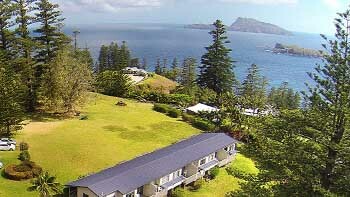 For more information on our specials and accommodation deals on Norfolk Island, please call us on +67 2 322 280. 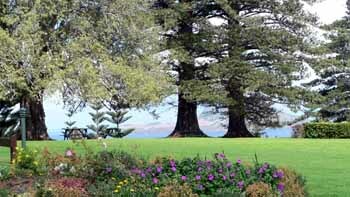 See the beauty of Norfolk Island and The Crest Accommodation in our image gallery click here. Your choice of 1, 2 or 3 bedroom fully self contained apartments, set in a tranquil location. Contact us for more details or to make a booking and the best local advice on where to go and what to do.